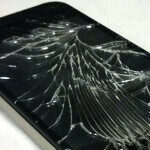 Sprint has decided against offering it's Total Equipment Protection for the Apple iPhone 4 and the Apple iPhone 4S. Instead, those customers of the nation's third largest carrier that want to insure their new 2-year investment can buy insurance from AppleCare+ or from a third party insurer. If you have butterfingers, or treat your handsets roughly, it is not a bad idea to have some protection. AppleCare+ extends your Apple iPhone warranty by one year and includes two repairs for damages caused by accidents. Each of those repairs will cost you $49. Priced at $99, AppleCare+ must be purchased at the same time you buy your iPhone 4 or 4S. After all, it wouldn't be fair to drop your brand new smartphone on concrete and then buy the insurance the next morning, would it? And not to frighten you, but a damaged unit will cost at least $649.99 to replace. The slide shows that Total Equipment Protection will not be sold at launch, which means that the carrier could be looking at a way to offer the program to its Apple iPhone buyers in the future. But for now, your choices are AppleCare+, a third party insurer or lady luck. get that Geek Squad Black Tie Protection from Best Buy.. covers everything with no deductible!!!!! I would really discourage anyone from going with the Best Buy insurance. The Best Buy Smartphone Warranties are renown for being bad. Visit the Best Buy customer service forums sometime if you don't believe me. It's BAD!!! RUN AWAY AS FAST AS YOU CAN!!! I had nothing but good experiences with there insurance. Og Droid broke got a refurbished one in the mail in about 5 days, and I got a really good loaner phone for that time (iphone 4)..
Yeah? Well I had to send my Smartphone in for "repair" 3 times. It kept coming back from "repair" broken. Always a different problem... I was stuck on an antiquated "loaner" phone straight out of the 90s for over 40 days. It was the worst customer service experience of my life. Just spend a one time fee of $69 and get Apple Care. 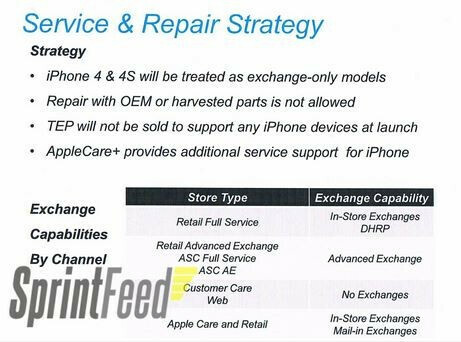 As of yet I have never heard of anyone spending $1 after Apple Care is purchased to replace a Cracked iPhone Screen or one that has taken a dip in water. I personally know of five people over the last six months that have walked into a Apple Store explained what happened and walked out with a new iPhone 4. As for Best Buy, $14.99 is kind of steep. buy two year apple protection plan its cheaper than paying than paying sprints insurance price plus sprint service is no good on mobile phone signal. Lots of downside to Applecare and to things like bestbuy black tie. First and Foremost is that they don't cover lost or stolen. Second is that with Asurion at least you can file 2 claims a year, where as with AppleCare+ you get 2 claims period. Any company should cover two only. If you dump your phone that much it displays you are irresponsible. I have had insurance and now apple care and never used it. a great protection option most verizon retailers offer is ProtectCell, they only charge a 1 time membership fee (120.00 for 2-years, 80.00 for 1-year on smartphones) they do cover lost, stolen, water damage, whatever!! The 2 claims ive made with them ive gotten a NEW.. not a "like new" device. the deductable was 60 for the first and 110 for the second and there is no limit to how many claims you can make, and you also have 30 days from device purchase to add it. Sprint is the biggest s**t of em all . "I've dropped my kyocera echo...." Stopped reading after this, you lost all credibility. I got the thing because it was free on wirefly. the only thing i do like about it is the durability.otherwise everything about it is a problem im saving up money to get a different phone. any recommendations? So you got the "free" phone up front now your going to have to spend even more to get a good phone? Why didn't you just spend the money up front instead of being cheap up front? Also if you break your phone and have the insurance they won't replace it with anything but the echo. Until that phone is long gone then they will give you comperable and comperable to an echo is a we'll not smartphone. Kyocera should stay away from smartphones. yes i know they should stay away from smartphones i got it because it was free and sprint happens to have a stronger signal in my area. id much rather pay full retail or get in slightly cheaper on wirefly and be free of the 2 year contract than be held into it for 2 years. everyboy gets mad at sprint because they dont have true 4g as in LTE. they already have lte embedded in the wimax towers wimax was just put in so they could keep the spectrum. the LTE is in the cellular towers just waiting to be turned on because they have been testing. Well think about it this way, people will be more carefully with their iphone. If it gets lost or stolen then you better hope you cam track it. You pay $99 (at time of purchase only). You can do 2 claims for light damage in the 2 years. Hmmm, Sprint insurance $8 monthly warranty exchanges as many times as needed and 3 damage, lost, stolen claims a year? You decide. Not having insurance, just another reason to buy something other than the iPhone. And $100 deductable through sprint assurion. Not worth it.